Facebook: http://www.facebook.com/pages/Northside-UK/144340425603153 My Space: http://www.myspace.com/northsideuk Made in Manchester and signed to the late Factory records by Tony Wilson 'Shall We Take A Trip?' (Fac 268) 'My Rising Star' (Fac 298) 'Take 5' (Fac 308) 'Chicken Rhythms' (Fac 310) 'Chicken Rhythms' + Extras (LTMCD 2386) A Bit On The Side - Northside Biography In another world, Northside would have become the next great Factory band after Joy Division / New Order and Happy Mondays, going from strength to strength throughout the 1990s. In another world, Northside would have become the next great Factory band after Joy Division / New Order and Happy Mondays, going from strength to strength throughout the 1990s. Sadly, in this world, it wasn't to be. Right place, wrong time? Maybe. When ?Chicken Rhythms' was released during the summer of 1991 it was on the back of two fabulous singles. ?Shall We Take A Trip?' which was banned by the radio but hovered on the outskirts of the Top 40 for several weeks. ?My Rising Star' - a classic slice of Indie Pop which still fills dance floors to this day, and preceded ?Take 5?. So what happened? 1991 saw a shift in what was seen as cool. The Madchester scene, which had started around 5 years earlier and built up by the popular music press, was on the wane. No longer were New Fast Automatic Daffodils, Inspiral Carpets, The High, and the like guaranteed front pages, instead they were replaced by Nirvana, Soundgarden, Alice In Chains and countless other grunge acts from the Seattle area of the States. But we're getting ahead of ourselves? ?When I close my eyes, the future begins'? Northside were formed at the beginning of 1989 in Blackley and Moston areas of North Manchester by Man United fan Dermo (vocals) and Man City supporter Cliff Ogier (bass). They were joined by Michael ?Upo' Upton (guitar) and 'Wal' (drums) soon after. At the time Moston was a typical working class area, suffering following Thatcher's recession, but with the arrival of ?E' around 1986/87 and the emergence of the Acid House scene, the mood began to change. Reflecting in 1990, Dermo explains, ?it used to be all football and violence but now it's chilled and buzzin.? Local heroes The Stone Roses were becoming a force to be reckoned with in popular music, bands like James were finally getting noticed after many years of trying, shops like Eastern Bloc on Oldham Street become the place to hang out during the day and then the Thunderdome on Oldham Road at night, listening to tunes and being seen. Often fuelled on drugs, alliances were made, many of which remain to this day. These factors, mixed with a healthy dollop of punk DIY attitude, led to the formation of many bands, supported by their mates, their families, and with a desire to do something different, to tell the truth, to make people sit up and take notice. Six months on from their first practice in February, Northside recorded their first demos in August at The Cutting Rooms, part of Abraham Moss College. These received regular plays on the show hosted by Tony the Greek's on Piccadilly Radio, as well as Craig Cash on KFM, Stockport. With their popularity growing, the band made their debut live performance at Manchester's Boardwalk venue on September, which sold out by word of mouth. Not long afterwards the band received a visitor at their practice rooms, Tony Wilson (no ?Anthony H' back then), who offered them a recording contract. After agreeing in principle they were given a lift home in his Jag! 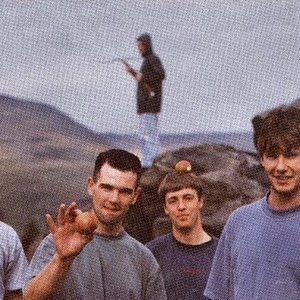 By the end of 1989 the band had played a now legendary gig with Happy Mondays at Manchester's Free Trade Hall (18 November) and the Ha?ienda Christmas Party (17 December, with support from Paris Angels). A deal with Factory was formalised in February 1990. They even managed to change guitarists along the way with Timmy Walsh (another Red) replacing Upo. March 1990 saw the celebrated Granada Television documentary, ?Madchester - The Sound of The North? hit the screen. The programme featured a lengthy profile on Northside, and gave people a hint of what was to come, with a live performance of My Rising Star at Holland Street Sports Centre, Miles Platting. Meanwhile in April the band headed off to London to record their debut single, produced by Ian Broudie (of Lightning Seeds and Three Lions fame). Upon their return, with the Strangeways prison riot in full swing, Northside found their home town besieged by the media. More personally, a close friend of the band, Robo died in tragic circumstances, less than a year after Dermo's brother Steven, who'd named the band. The debut single was dedicated to them. ?Answers Come In Dreams'?? In an unsurprising move, perhaps characteristic of the label, the first single ?Shall We Take A Trip?' was released on 2 June 1990 and promptly banned from daytime radio and several High Street stores due to its numerous drug references - with an opening line of ?L-S-D' would you really have expected otherwise? It reached 50 on the national chart. As a double A-side, ?Moody Places' had been and band's choice for the lead track. Both songs were picked up by local television for use on Granada Soccer Night, where it would remain a fixture for the next two years on Wednesdays and Sundays. The single boasted a sleeve by Central Station Design and featured a plum (yes, a plum, not an apple!) which was to become synonymous with the band's image. A 7? version was produced but never made it past the promo stage, the majority of these being used as frisbees from the high rises of the local Miners Estate. A video was produced, taken from an appearance at the Hacienda (which had been originally broadcast on Granada TV a month earlier). Again, in a typical move by Factory, the version of the song on the film was faster than the single, so they slowed it down. The band built up a loyal live following throughout the early months of 1990, as their songs, influenced by reggae, punk, and psychedelia blossomed. The band headed off abroad, playing gigs in Europe, Japan and America - the latter including three nights at the New Music Seminar in New York. France was perhaps the most notable place at the time, on the first trip to Paris the group found themselves playing next to the Moulin Rouge and had to soundcheck in the morning so not to disturb the exotic dancers. On the second a passport was lost following a visit to the Midem music festival, which resulted in band and entourage being held at gun point. To capture the youth and energy of the band, they were quickly put in the studio with future Baddiel and Skinner collaborator and Lightning Seed, Ian Broudie at the helm. Aided by engineer Cenzo Townsend, the album was recorded at The Windings and Amazon, both in Liverpool, and Rockfield in Monmouth whose visitor book was signed by such luminaries as Black Sabbath, Iggy Pop and Paul Weller. ?Do You Have A Dog????. Expectations were high, and following a successful UK tour (supported by hand picked local acts), second single ?My Rising Star' was released (on 7?, 12? and CD) in late October 1990. ?MSR' broke into the Top 40 at 32, and came with a video filmed on top of Manchester's Arndale Centre which featured a cameo from the local police helicopter. The sleeve, again designed by Central Station, this time did feature an apple. The band were invited to open the first night of the Great British Music Weekend in January 1991 at Wembley Arena, broadcast live over three nights on Radio One. Despite pleas from the station not to play their first single, ?Shall We Take A Trip? ', the band started with this number, causing the station to stop its live broadcast for several minutes. Curiously the band had opened an ?In Concert' programme from Sheffield University for the station with the same track a couple of months earlier without being censored? However, this incident did not stop the station allowing the band to perform a live set for Mark Radcliffe's ?Hit The North' BBC Radio 5 show. ?Gonna Blow Your Mind'?. A third single, ?Take 5? (released on 7?, 12? and CD) hit the UK Charts on 1 June 1991, the same day that the band played with Happy Mondays, The Farm and the La's at Elland Road stadium Leeds and were named by many, including the music monthlies, as the highlight of the day. Perhaps disappointingly, rather than keeping with the fruit theme (a Warhol banana pastiche maybe?) the Central Station cover art this time featured a shot of a plastic motorcyclist on the front, and - bizarrely - a windmill on the reverse. Who knows what it means? Only Matt and Pat. With the ?64-46-BMW? refrain lifted from Reggae super star Yellowman's ?Nobody Move', ?Take 5? was well received, but due to a barcode mix-up the boys were cruelly robbed of a higher chart position on its first week, entering at 41. By way of an apology the band were invited to make their Top of the Pops debut, despite being outside of the Top 40 (the first band to ever be given the honour). Released simultaneously by Geffen in the States, ?Take 5? was one of the last British pop songs to perform well on the American modern rock radio stations before they were taken over by home grown grunge. A ?fourth' single, ?Tour De World', would later be lifted from the album and released only in the US. ?Take 5? also reached No 1 in Canada, before being deposed by future grunge anthem Smells Like Teen Spirit. ?What Goes Up, Must Come Down'?.. The band were on a high, but then the backlash started. Chicken Rhythms was released on 17 June 1991. The cover art for the album (again by Central Station) was produced using children's birthday cards, with photos of the bands heads imposed on the top. Possibly it didn't help the band's image, while the inner sleeve (along with the album title) was the work of Dermo's younger brother Dean, then aged just 16. Despite reaching the Top 20, the album received mixed reviews in the UK, although Q magazine called it ?surprisingly lovable?, while some American papers awarded it received more stars than Nevermind by Nirvana, released that same month. ?But Time's Not Standing Still'?. After touring the album and making a lot more friends along the way Northside entered the studio to record their second album, and plotted a fourth single, ?Want A Virgin' (Cool Idea). Demos were recorded throughout 1992. Sadly, both single (designated Fac 338) and album remain unreleased to this day due to the well documented demise of Factory Records. Had it appeared, the second album would probably have seen the band reach a wider audience, with a harder sound, but that's for another day. Now, ten years after Britpop laid the American Invasion to rest, it's worth listening to ?Chicken Rhythms' again. Long deleted, it has become a cult classic. So enjoy this forgotten gem.